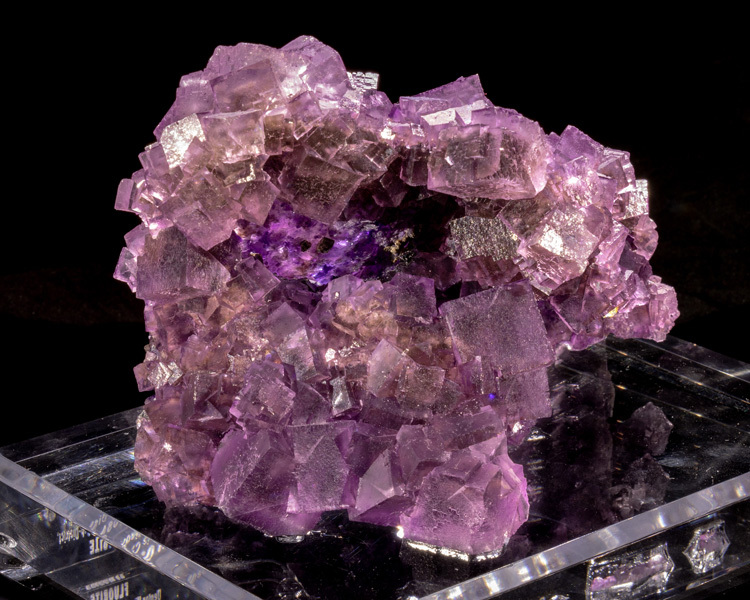 This is another one of those mineral specimens where the photos just don't do it justice. 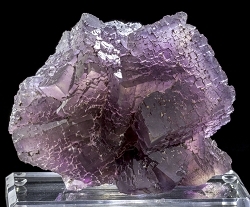 This is such a 3D fluorite specimen that you have to see it with your own eyes to truly apprecitate its full beauty. 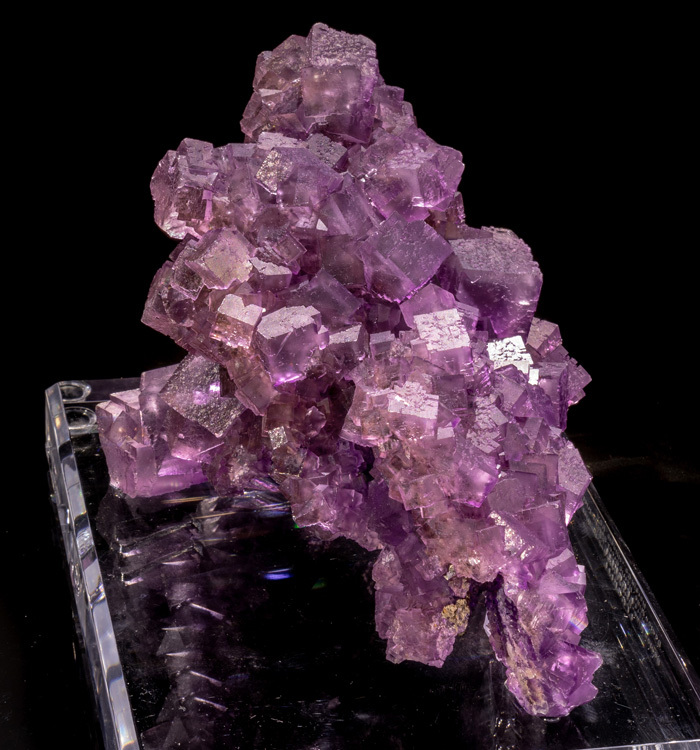 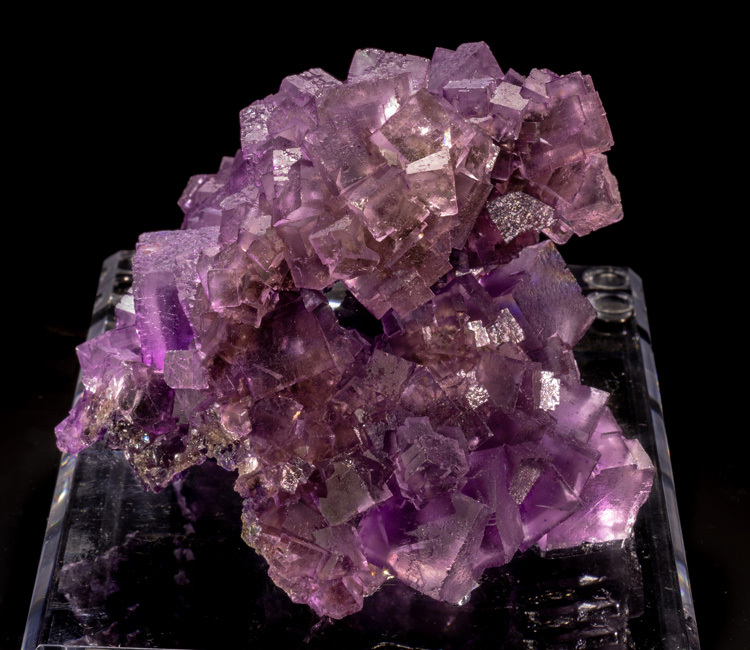 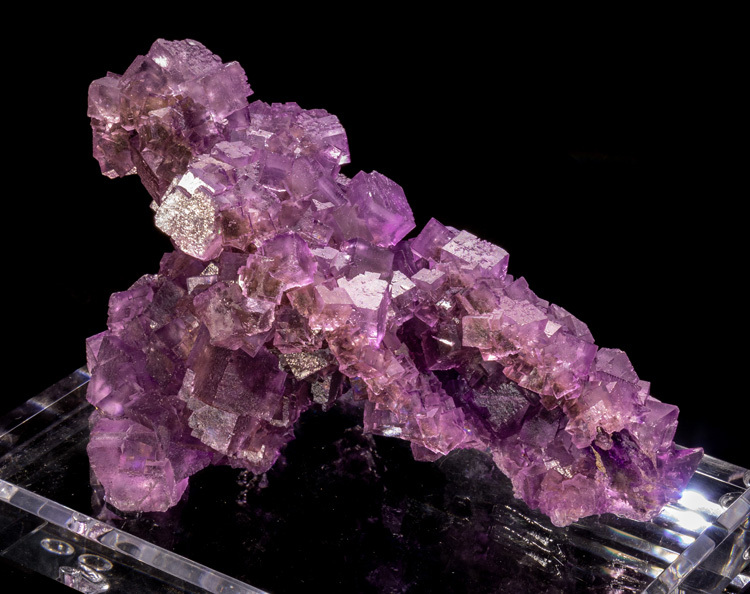 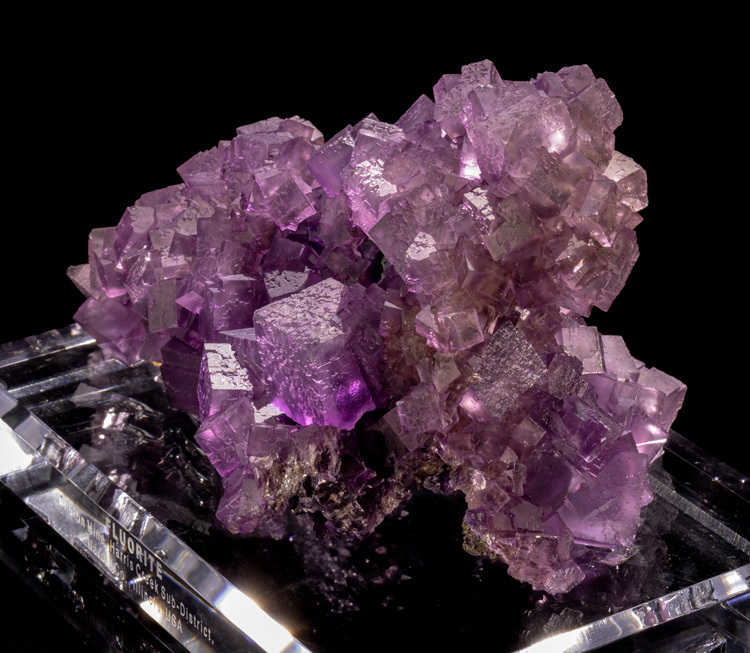 This specimen has purple fluorite cubes completley covering all sides except the bottom. 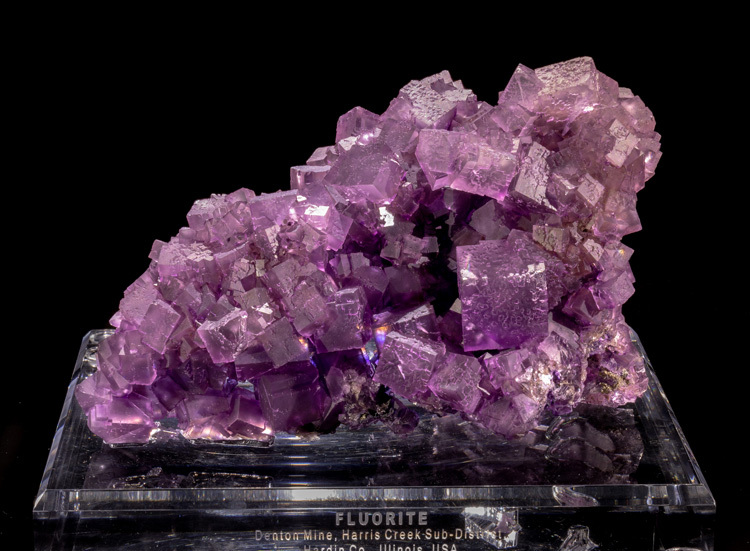 The bottom is a indented cavity which looks like it was probably once filled with another mineral (possibly barite) which naturally etched out at somepoint in its life. 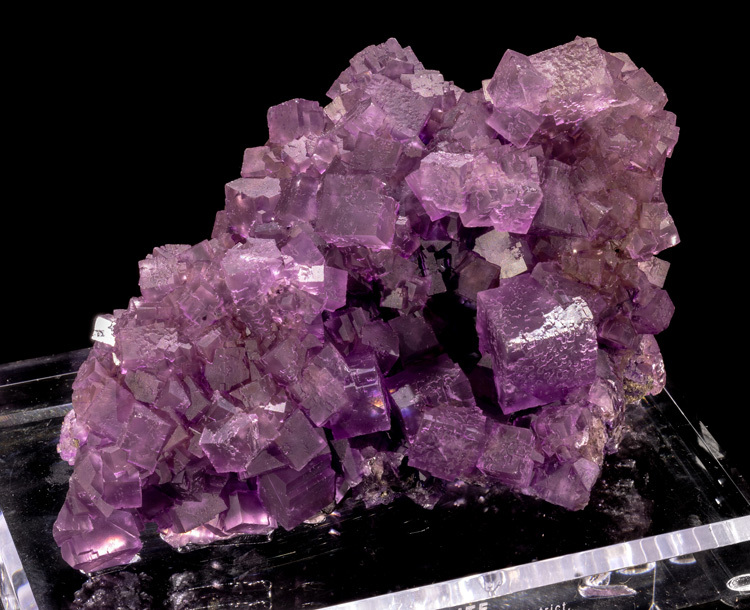 The backside also has a little "cave" that gives the viewer a peek into the inside of the specimen. 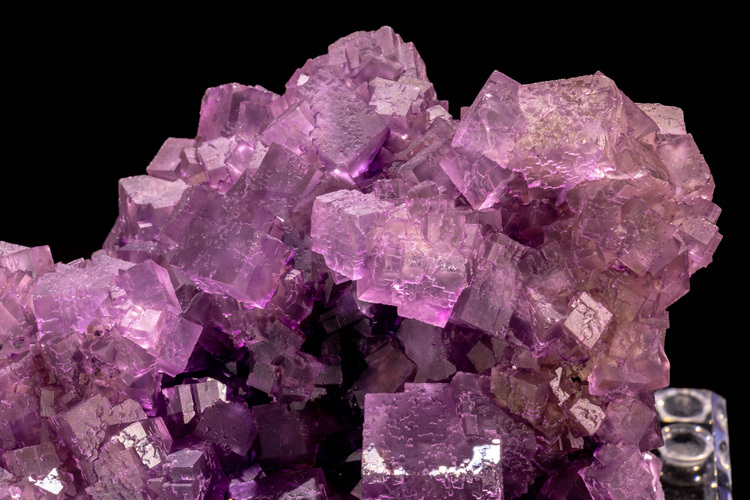 The plum-purple fluorite cubes actually have phantoms with a darker purple core and a more translucent purple outer zone. 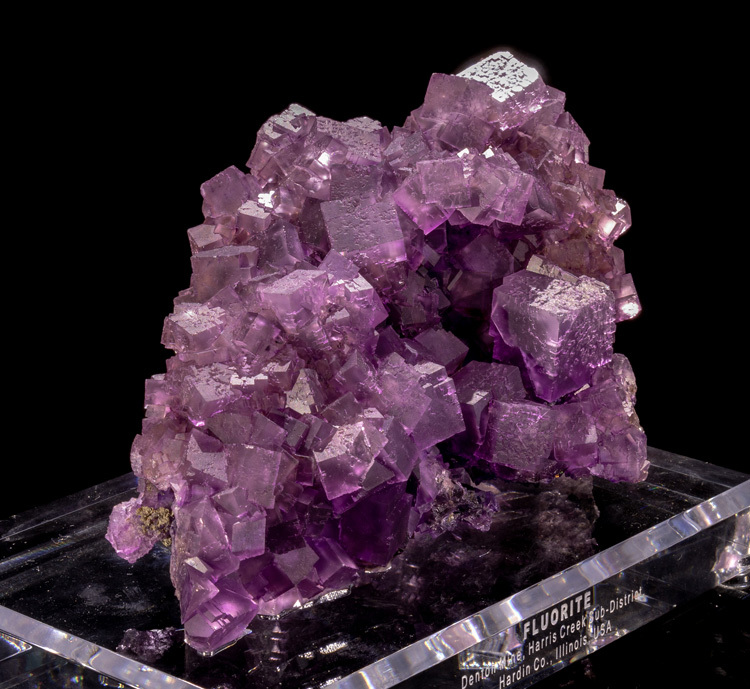 The color in the photos shows how it appears in our display case with warm LED lighting, and the video shows the color under cool, overcast skies. 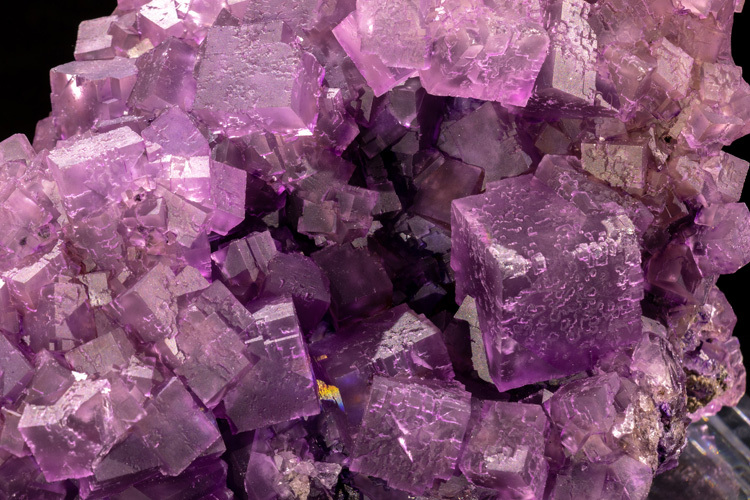 The condition is excellent with only one cleaved corner of any consequence. 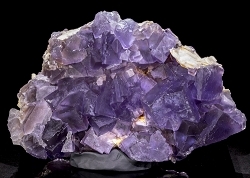 Any other issues are very minor and do not affect the appearance of the piece. 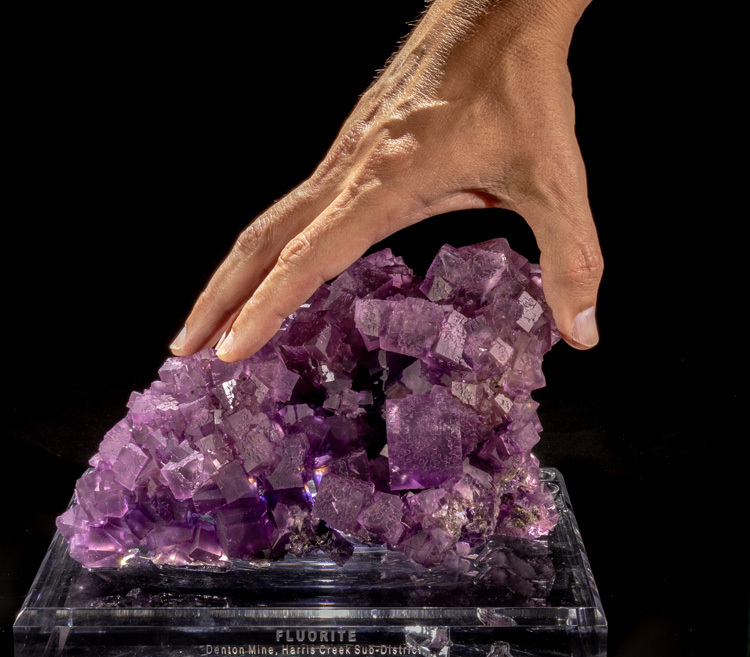 The largest single fluorite cube measures 2.6cm on edge. 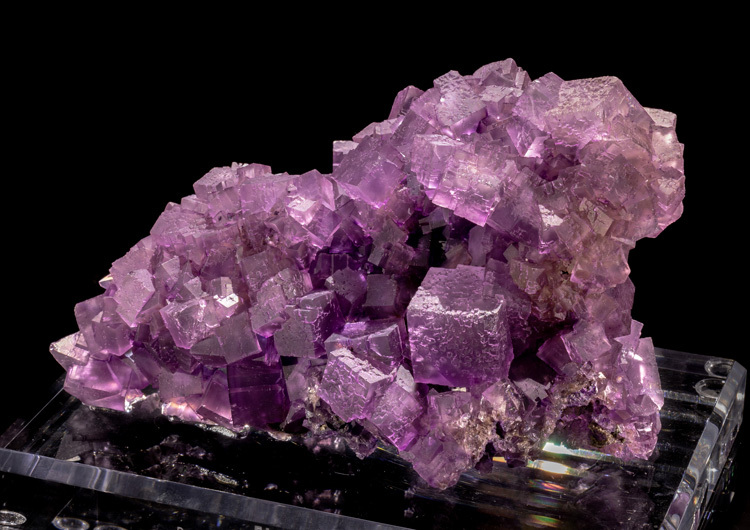 This is a very impressive Denton Mine specimen!